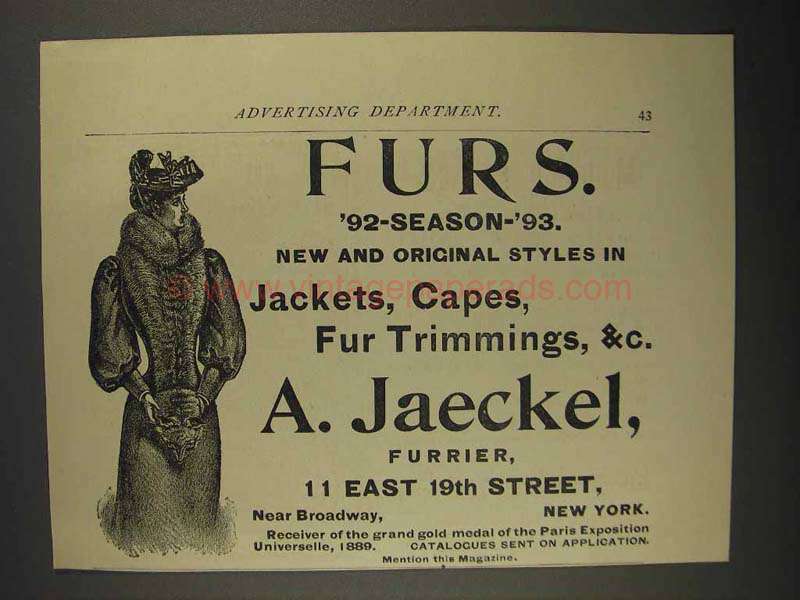 This is a 1892 ad for a A. Jaeckel Furs! The size of the ad is approximately 5x6.5inches. The caption for this ad is 'Furs. '92-Season-'93. New and original styles in Jackets, Capes, Fur Trimmings, &c.' The ad is in great condition. This vintage ad would look great framed and displayed! Add it to your collection today!